Marine Drive is one of the famous and favourite destinations of every swimmer for thrilling the adventure enthusiast and rafting. 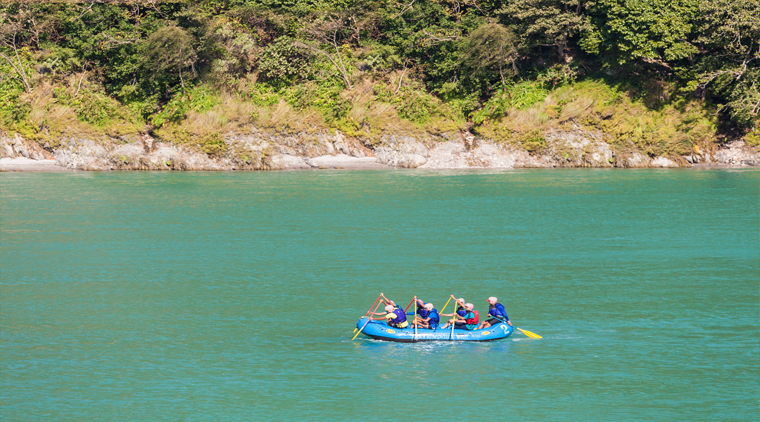 In this rafting you should know the swimming well with prior rafting experience. 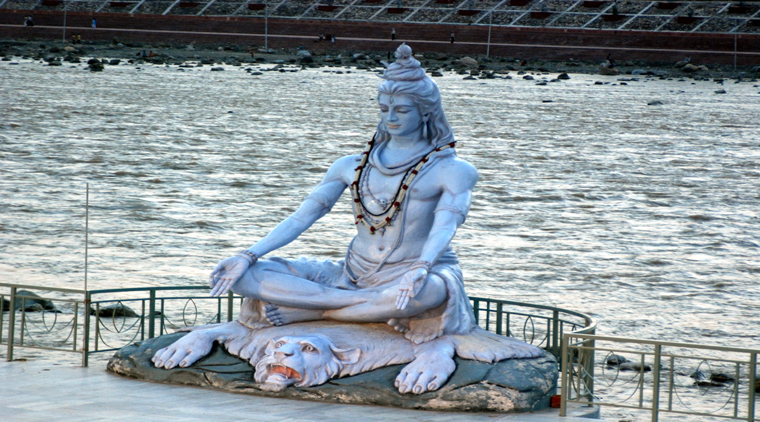 In Morning Drive to Rishikesh. 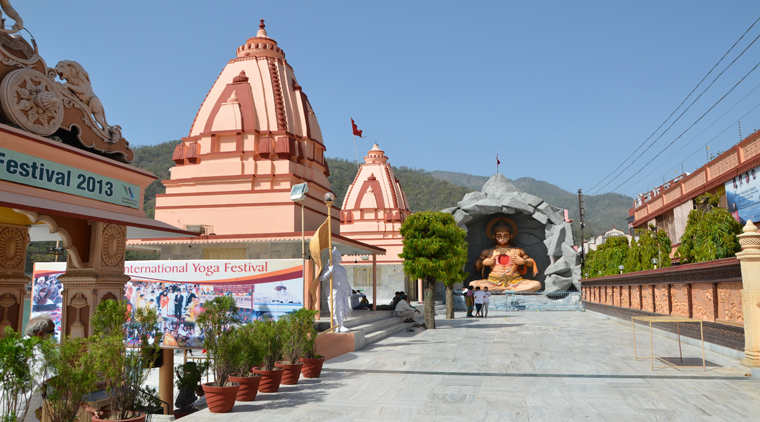 On arrival Rishikesh. Our tour representative will meet you and directly transfer to the Camping Site. 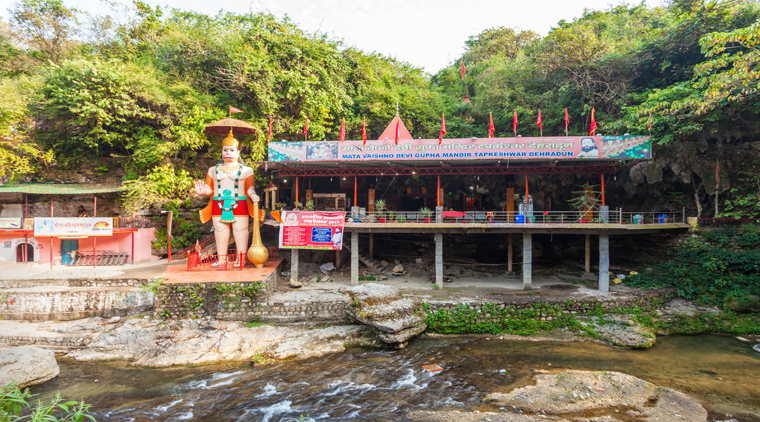 After freshen up, go for the Jungle trekking to the Neerghar water fall (trekking 6 Km both side on Hill). Later return to camp. Take the hot Lunch in the camp. After sometime; go for Rock Climbing / Rappelling site and get back to camp and relax. Enjoy the evening bonfire with little snacks followed by the dinner. Overnight at the beach camp. After a healthy breakfast drive to Marine Drive. 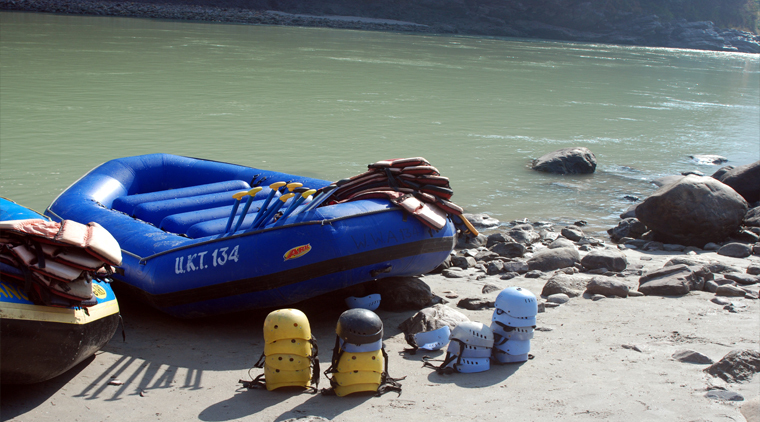 It is about 24 Kms Rafting from Marin Drive to Rishikesh. Here you will hit some enjoyable rapids with big volume Ganga like Three Blind Mice", Crossfire, Roller Coaster, Golf Course, Double Trouble, Hilton, Club house and Initiation combined with lots of Body Surfing & Cliff Jumping. Later in afternoon return back to the campsite. Have a hot lunch. In Evening you are free for the nature walk and enjoy camps indoor activities such as volleyball, badminton many more. Enjoy bonfire followed by Dinner. Overnight stay at camp. After breakfast check out from the camping site and drive back to Delhi for onward destination. •	2 Nights accommodation at beach camp on twin sharing basis. •	02 breakfasts; 02 lunches; 02 dinners include in this Package. 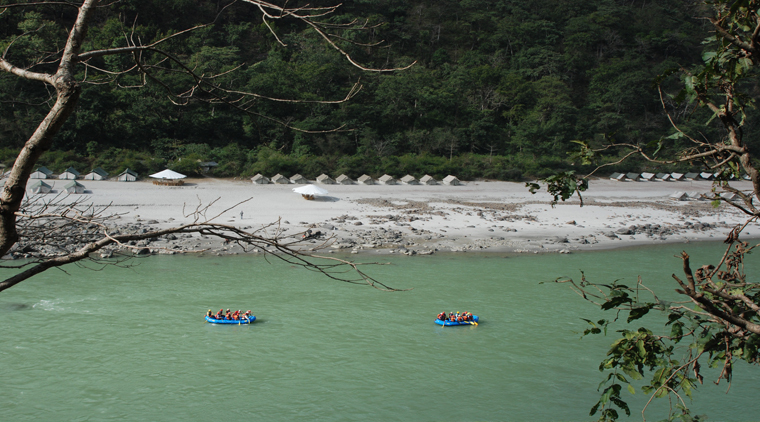 •	Rafting from Marin drive to Nem Beach 24 Kms. •	03 adventures activity per persons include in this package. •	Bonfire at the camping site. •	Evening tea/coffee with cookies. •	Free parking in camp site. •	Anything which is not mention above.